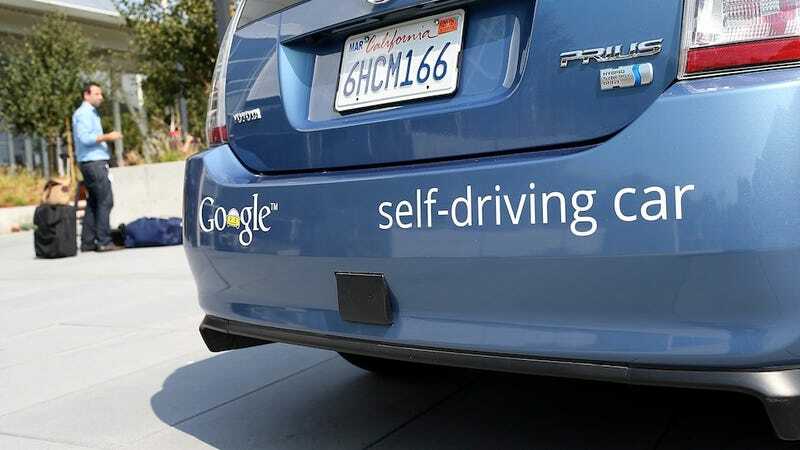 Google is reportedly having a hard time finding a partner to manufacture self-driving cars, so the company's thinking about just building them itself. While it's still unclear exactly what Google would do with the cars, a new report from Amir Efrati says that the search giant is thinking of starting a robo-taxi service. Weird, huh? Efrati just published the scoop on driverless cars at former Wall Street Journal reporter Jessica Lessin's website, and the details are pretty curious. A couple of days ago, it was reported that Google was in talks with Continental and IBM about forging an alliance to build self-driving cars. Efrati reports that these talks came after talks with major car manufacturers failed. Companies like Mercedes evidently aren't interested in building self-driving cars, because, well, people like to drive.